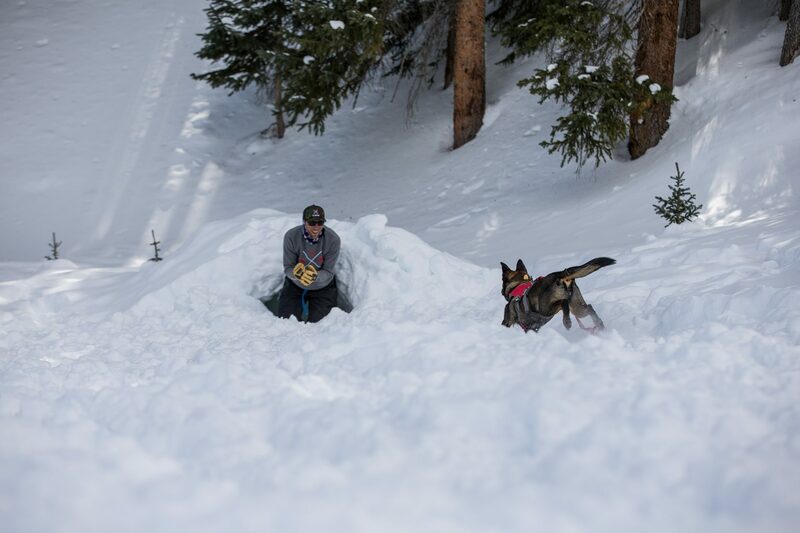 Last week, we hosted our Annual Winter Course at Keystone Resort in Summit County, Colorado. 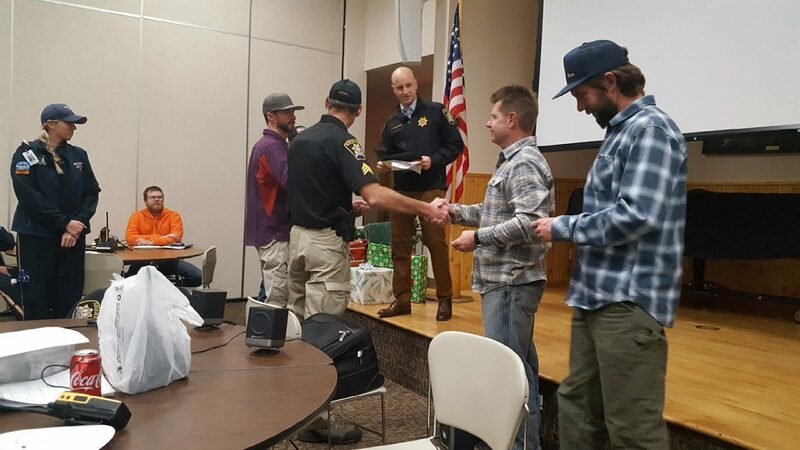 Representatives from over fifteen Colorado organizations joined us, including ski patrollers and members of search and rescue groups, task forces and sheriff's offices. 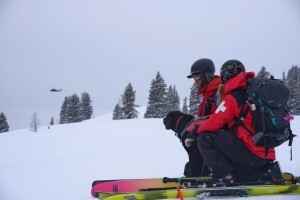 The course included four very full days of training, with avalanche technicians and dog handlers all focused on improving themselves as teams and resources. 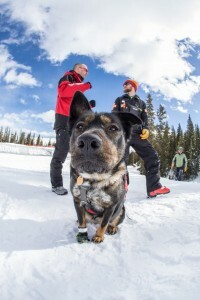 In addition to outdoor drills, instructors helped us with dog behavior training , as well as classroom sessions for handlers and avalanche technicians. 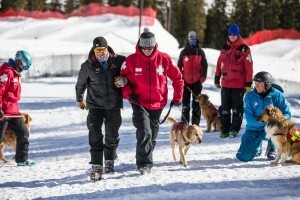 Instructors from C-RAD, Canada Task Force 2 (a disaster response team), Teton County, Idaho Search and Rescue plus Summit County Rescue Group all provided incredible knowledge and feedback to help new and seasoned dog teams grow their skills. And we had a lot of fun in the process! We want to say thank you to everyone who made this course successful, especially to our C-RAD donors, and everyone who continues to contribute to our mission. It's courses like these that help the C-RAD community thrive. All photos by Dave Camara. Our Annual Winter Course kicks off tomorrow, February 3 at Keystone Resort. Stay tuned for photos and a recap of the training coming soon. In the meantime, here's a really cool update about another type of winter training. 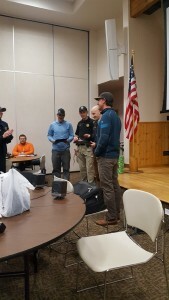 Last week, the Summit County Sheriff awarded commendations to seven C-RAD members and three avalanche dogs for separate backcountry rescue missions performed during the 2017-18 winter season. We're extremely proud to work with these folks, and the commendations are well-deserved. Awards were given to Bob Nothnagel, Hunter Mortensen, Greg Dumas, Keith Hiller, Dom Vallone, Jake Ziemski, and John Reller, along with validated dogs Loki, Sasha, Max and Recco. 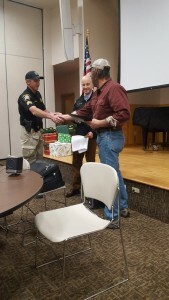 C-RAD is supervised by and works closely with Colorado Sheriff's Offices (and sometimes agencies outside the state, as was the case with a rescue in Montana last winter). 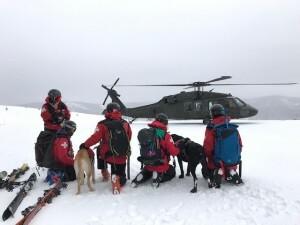 When an avalanche incident is called in and it's determined a rescue is necessary, the local Sheriff's Office helps to deploy a dog team, which consists of an avalanche technician, avalanche dog and dog handler. 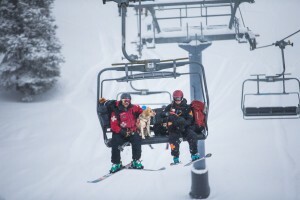 These teams are generally on-call at a ski area. 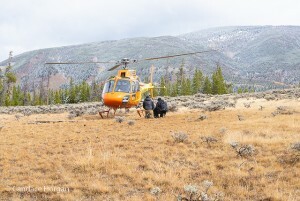 Usually Flight for Life Colorado and other search and rescue personnel are also part of these missions. You can read our public missions reports here. 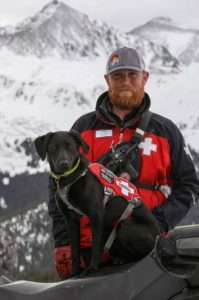 Every fall, C-RAD awards training scholarships to enthusiastic dog handlers and avalanche technicians for multi-day avalanche rescue courses. 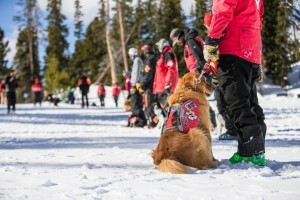 These include Wasatch Backcountry Rescue’s International Dog School in Utah and the American Avalanche Institute K9 Training Course in Wyoming. 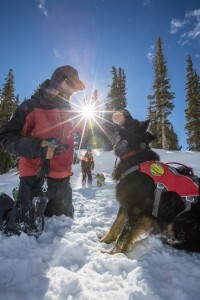 The curriculum for these courses includes some of the highest level of instruction in the world, and serves as an invaluable resource for new and experienced dog teams alike. 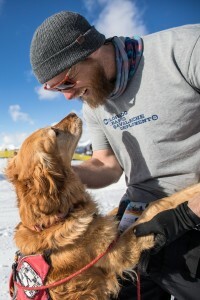 Students are able to immerse themselves in hands-on training they can't get anywhere else, and are able to learn cutting-edge techniques from a diverse group of trainers and avalanche experts. 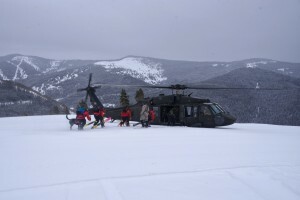 They bring this knowledge back to their teams, and help Colorado continue to stay at the forefront of avalanche rescue. This type of training carries a hefty price tag, and we’re thrilled to be able to help offset the cost with scholarships for deserving members. We couldn’t do it without the generous support of our donors. 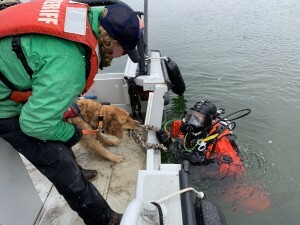 If you feel compelled to help dog teams attend training, please head to our donation page. Thank you for your contribution! If you're a member and want to apply, please complete your application in the member portal and get it back to us no later than Thanksgiving. 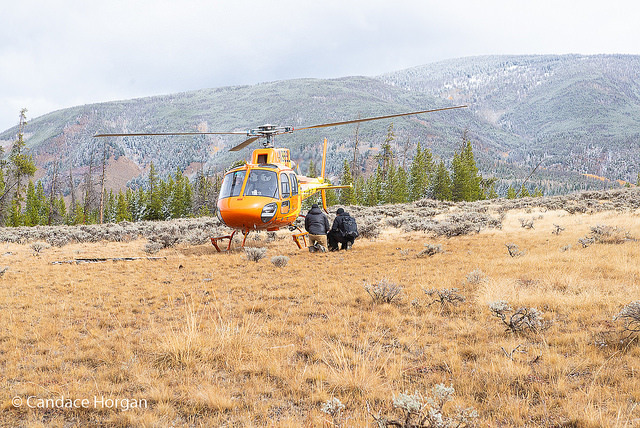 We hosted our annual C-RAD fall training last week in Summit County, Colroado. 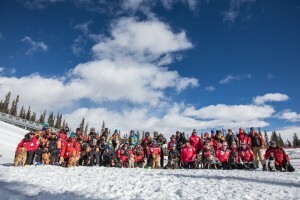 Participants from all over the state joined us for the four-day training, including handlers, dogs and avalanche technicians (avy techs). 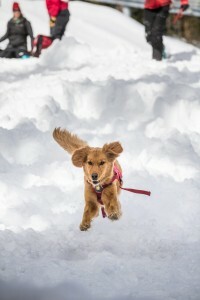 We were lucky enough to have some very talented instructors from all over North America to share the best dog training techniques. We were not so lucky to have cold, snowy weather for our outdoor scenarios, but everyone toughed it out and did a fantastic job! 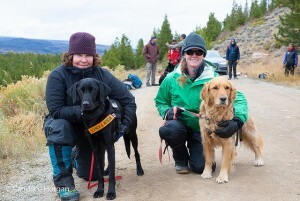 The main focus of the training was avalanche rescue, but included obedience and agility work, as well as water rescue. 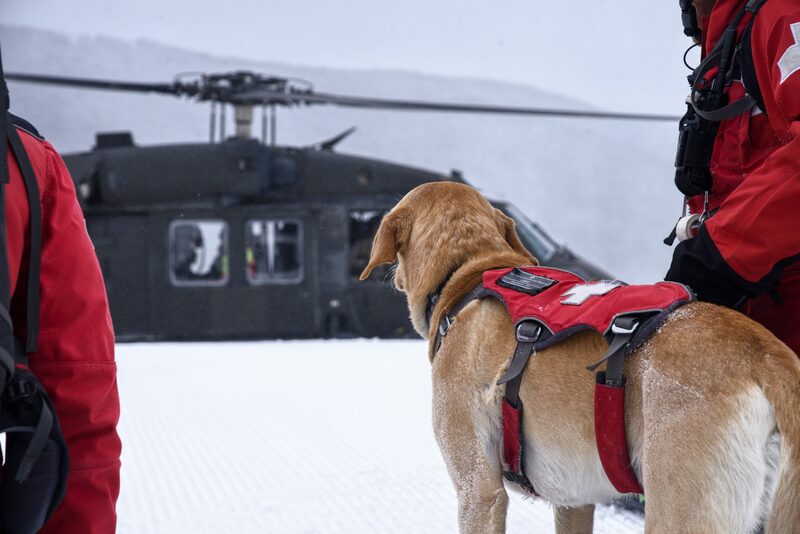 Flight for Life Colorado joined us so the dogs, handlers and avy techs could train with the helicopter, which is a key part of many avalanche rescue scenarios. Thank you to all this year’s instructors and participants. It was a very successful C-RAD training and we’re looking forward to many more!